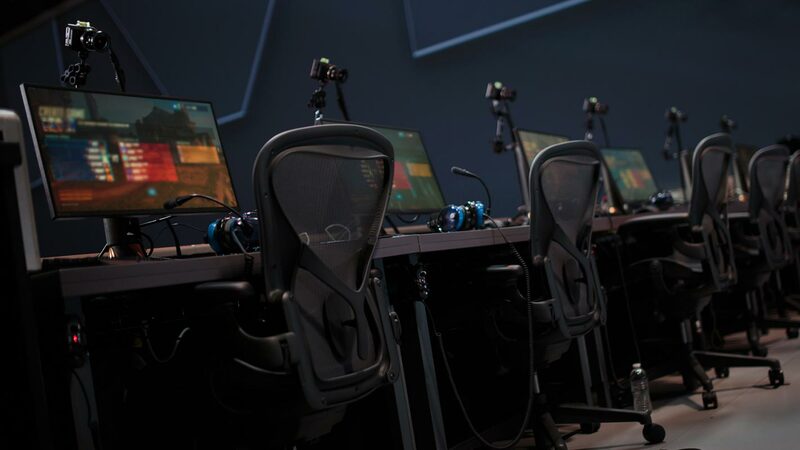 Key dates and guidelines for roster construction heading into the 2019 Overwatch League season. The Overwatch League’s first offseason is one filled with changes. Aug. 1 marked the beginning of the extension and trade window, and Sept. 9 will be the start of the exclusive free agent signing window for expansion teams. With new teams joining the league and others retooling their rosters for the 2019 season, expect a lot of player movement in the coming weeks and months. Bookmark this page to keep track of all the signings and announcements, which will be updated daily! Sept. 10: Announced arrival of Brad "Sephy" Rajani as head coach. 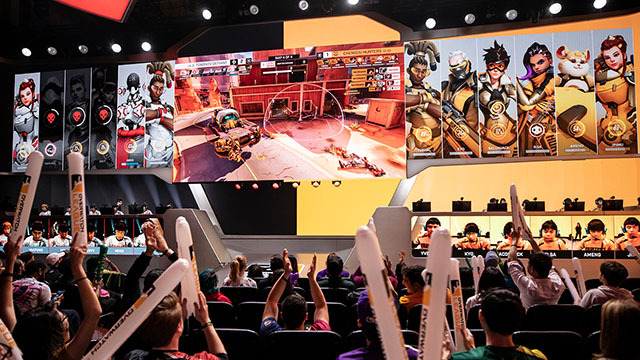 Oct. 28: Announced signing of support Steven "Kodak" Rosenberger, support Petja "Masaa" Kantanen, DPS Ilya "Nlaaer" Koppalov, DPS Jun "Erster" Jeong, DPS Daniel "Dafran" Francesca, tank Hyeon-Jun "Pokpo" Park, tank Blake “Gator” Scott , and flex tank Dong-Hyung "Daco" Seo. Aug. 31: Released flex tank Woo-Yul “Kalios” Shin, support Connor “Avast” Prince, and support Mikias “Snow” Yohannes. Sept. 2: Released DPS Stanislav “Mistakes” Danilov. Oct. 18: Announced arrival of assistant coach Jordan "Gunba" Graham. Oct. 22: Announced signing of DPS Jeffrey "Blase" Tsang. Oct. 30: Announced signing of DPS Kelsey "Colourhex" Birse and tank Min-Seob "Axxiom" Park. Nov. 5: Announced two-way contract for tank Cameron "Fusions" Bosworth. Dec. 3: Transferred DPS Nam-Ju "Striker" Gwon to the San Francisco Shock. Dec. 5: Announced signing of support Renan "Alemao" Moretto. Nov. 26: Announced coaching staff of Xingrui "RUI" Wang and Chia-Hua "Ray" Chang. Nov. 28: Announced signing of supports Chunting "Kyo" Kong, Li "Garry" Guan, and Xianyao "Yveltal" Li. Nov. 29: Announced signing of tanks Tianbin "Lateyoung" Ma, Menghan "Ameng" Ding, and Wenjie "Elsa" Luo. Nov. 30: Announced signing of Hu "Jinmu" Yi, Tzu-Heng "Baconjack" Lo, and Zhihao "YangXiaoLong" Zhang. Jan. 16: Announced signing of tank Yansong "Jiqiren" Wei. Aug. 31: Flex Brandon “Seagull” Larned announced retirement. 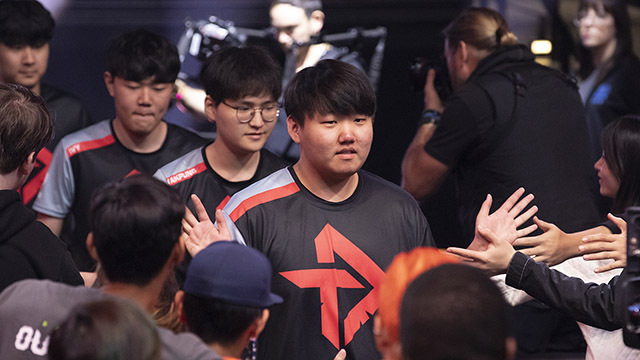 Sept. 4: Released support Sebastian “Chipshajen” Widlund; re-signed seven roster players (supports Jonathan “HarryHook” Tejedor Rua and Benjamin “Unkoe” Chevasson; tanks Min-Seok “OGE” Son and Pongphop “Mickie” Rattanasangchod; and DPS Dylan “aKm” Bignet, Hyeon “Effect” Hwang, and Timo “Taimou” Kettunen); announced tank Christian “Cocco” Jonsson will transition from player to assistant coach role. Oct. 15: Acquired support Won-Sik “Closer” Jung from the London Spitfire. Nov. 11: Announced signing of flex tank Richard "rCk" Kanerva. Dec. 3: Announced signing of DPS Zachary "Zachareee" Lombardo. Sept. 5: Released supports Sebastian "Zebbosai" Olsson and Aleksi "Zuppeh" Kuntsi; flex Joonas "zappis" Alakurtti; tanks Johan "CWoosH" Klingestedt and Tim "Manneten" Bylund; and DPS Andreas "Logix" Berghmans. Sept. 10: Acquired tank Jae-Mo "Xepher" Koo from the Seoul Dynasty. Sept. 21: Promoted support Hyeon-Woo "HaGoPeun" Jo from Mayhem Academy to the main roster. Sept. 25: Announced two-way contract for DPS Damon "Apply" Conti. Oct. 14: Announced signing of tanks Jun-Soo "Kris" Choi and Sang-Won "Swon" Yoon, and DPS Sang-Bum "BQB"Lee. Nov. 22: Announced signing of tanks Seung-Pyo "Rio" Oh and Hong-Jun "Hotba" Choi; supports Jung-Yeon "Chara" Kim, Lizhen "Onlywish" Chen, Jin-Seo "Shu" Kim, and Won-Jae "Wonjaelee" Lee; and DPS Yiliang "Eileen" Ou, Jung-Woo "Happy" Lee, Finley "Kyb" Adisi, and Charlie "Nero" Zwarg. Dec. 3: Announced coaching staff of Hyo-Jin "J1n" Choi, Seung-Min "TyDolla" Jung, and Sung-Woo "Sungwoo" Hong. Nov. 16: Announced coaching staff of Mu-Ho "Mask" Lee, Seung-Jun "Sup7eme" Han, and Han "YinDong" Gao. Nov. 16: Announced signing of tanks Qiulin "Guxue" Xu and Da-Un "Nosmite" Jeong. Nov. 17: Announced signing of tanks Sung-Wook "Ria" Park and Jae-Hwan "Adora" Kang. Nov. 18: Announced signing of DPS Kyeong-Bo "GodsB" Kim and Jun-Ki "Bazzi" Park. Nov. 19: Announced signing of supports Ho-Jin "IDK" Park" and Hyung-Keun "Revenge" Ahn. Nov. 20: Announced signing of DPS Shilong "Krystal" Cai and support Hee-Chang "Bebe" Yoon. Sept. 2: Released tank Russell “FCTFCTN” Campbell. Sept. 3: Announced DPS Matthew “Clockwork” Diaz will move into non-player role and DPS Lucas “Mendokusaii” Håkansson will shift to content creator role. Sept. 18: Acquired DPS Dante "Danteh" Cruz from the San Francisco Shock in exchange for tank Myeong-Hwan "Smurf" Yoo. Sept. 3: Announced arrival of new head coach Kwang-Bok “Coach815” Kim. Oct. 15: Transferred support Won-Sik “Closer” Jung to the Dallas Fuel. Oct. 16: Announced signing of DPS Hee-Dong "Guard" Lee. Oct. 17: Announced signing of support Young-Hoon "Krillin" Jeong. Aug. 20: Transferred tank Chan-Hyung “Fissure” Baek to the Seoul Dynasty. Aug. 31: Released tank Luis “iRemiix” Galarza Figueroa, Jun-Sung “Asher” Choi, and Ted “Silkthread” Wang. Oct. 25: Announced signing of tank Chang-Hoon "Roar" Gye and DPS Gui-Un "Decay" Jang. Nov. 28: Announced signing of support Riku "Ripa" Toivanen. Dec. 10: Announced two-way contract for tank Byung-Ho "Panker" Lee. 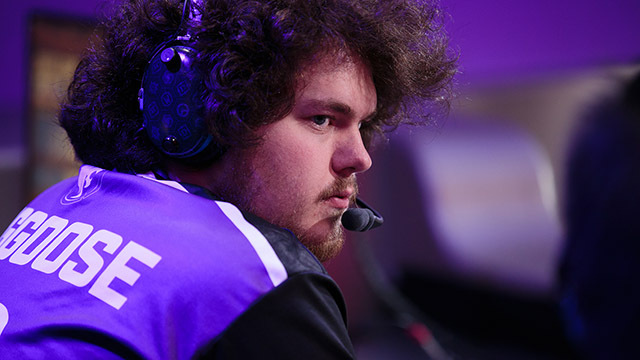 Sept. 7: Released tanks Seb "Numlocked" Barton and Finnbjorn "Finnsi" Jonasson, support Stefano "Verbo" Disalvo, and assistant coach Christopher "Grimreality" Schaefer. Sept. 13: Acquired tank Dae-Kuk "KuKi" Kim from the Seoul Dynasty. Oct. 18: Announced departure of assistant coach Jordan "Gunba" Graham to the Boston Uprising, and the transfer of DPS Terence "Soon" Tarlier and assistant coach Julien "Daemon" Ducros to Paris. Aug. 31: Announced departure of analyst Hyeong-Seok “WizardHyeong” Kim and release of tank Jun-Hwa “Janus” Song. Oct. 29: Announced signing of DPS Yeon-Oh "Flower" Hwang. Nov. 8: Announced signing of DPS Yeon-Kwan "Nenne" Jeong. Dec. 4: Announced arrival of assistant coach imt. Oct. 23: Announced signing of supports Damien "Hyp" Souville and Harrison “Kruise” Pond; tanks Benjamin “Benbest” Dieulafait, Finnbjörn "Finnsi" Jónasson, and Roni "LhCloudy" Tiihonen; and DPS Terence "Soon" Tarlier, Georgii "Shadowburn" Gushcha, Nicolas “Nicogdh” Moret, and Karol "Danye" Szcześniak. Nov. 27: Announced signing of support Luís "Greyy" Perestrelo. Sept. 2: Released DPS Georgii “Shadowburn” Gushcha, support Joe “Joemeister” Gramano, and support Jeong-Hwan “Dayfly” Park. Sept. 25: Announced signing of support Eli "Elk" Gallagher. Oct. 8: Named Elliot "Hayes" Hayes and Se-Hwi "NamedHwi" Go co-head coaches. 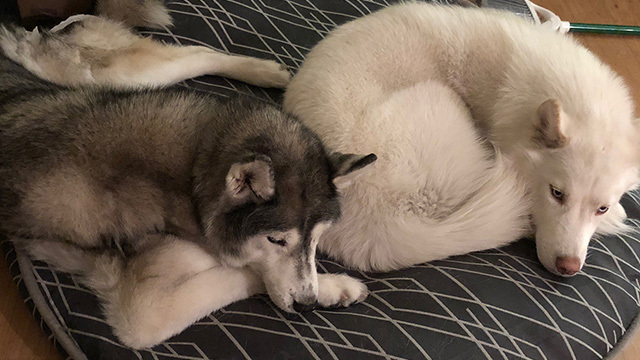 Jan. 14: Named Yann "Kirby" Luu as director of Overwatch operations. Aug. 22: Released tank David “Nomy” Ramirez, support Daniel “Dhak” Martínez, and DPS André “iddqd” Dahlström. Sept. 18: Acquired tank Myeong-Hwan "Smurf" Yoo from the Houston Outlaws in exchange for DPS Dante "Danteh" Cruz. Sept. 25: Announced signing of DPS Dong-Jun "Rascal" Kim. Oct. 24: Announced signing of support Min-Ki "Viol2t" Park. Dec. 3: Acquired DPS Nam-Ju "Striker" Gwon from the Boston Uprising. Aug. 20: Acquired tank Chan-Hyung “Fissure” Baek from Los Angeles Gladiators. Aug. 28: Announced arrival of Dong-Gun “KDG” Kim as head coach and Chang-Geun “Changgoon” Park as assistant coach. Aug. 30: Announced support Jin-Woo “Gambler” Heo’s retirement and transition to streamer role. Sept. 2: Released tank Jin-Hyeok “Miro” Gong, flex Gi-Do “Gido” Moon, and DPS Seok-Woo “Wekeed” Choi. Sept. 10: Transferred tank Jae-Mo "Xepher" Koo to the Florida Mayhem. Sept. 13: Transferred tank Dae-Kuk "KuKi" Kim to the Los Angeles Valiant. Oct. 18: Announced signing of tanks Min-Hyuk "Michelle" Choi and Min-Seo "Marve1" Hwang and support Seung-Soo "Jecse" Lee; and arrival of coach Ju-Hyeop "Whynot" Lee. Dec. 5: Announced signing of DPS Dong-Eun "Fits" Kim. Sept. 2: Announced departure of coaches Jun-Young “Kong” Song and Jia “Nai8” Jia; released eight players (supports Yage “Altering” Cheng, Peixuan “Freefeel” Xu, Zhaoyu “Fiveking” Chen, and Junjian “Sky” He; tanks Wenhao “Roshan” Jing and Junjie “Xushu” Liu; and DPS Gi-Hyeon “Ado” Chon and Dae-Min “Daemin” Kim). Sept. 20: Announced arrival of head coach Seung-Hwan "Bluehas" Wi. Oct. 23: Announced signing of supports Kyung-Woo "Coma" Son and Seong-Hyeon "Luffy" Yang; tank Jun-Hwan "Guardian" Jo; and DPS Min-Seong "Diem" Bae, Jin-Hyeok "Dding" Yang, and Young-Jin "Youngjin" Jin. Sept. 10: Announced arrival of Beoum-Jun "Bishop" Lee as head coach. Oct. 27: Announced signing of support Se-Hyun "Neko" Park and flex tank Kang-Jae "Envy" Lee. Oct. 29: Announced signing of DPS Seung-Hyun "Ivy" Lee and DPS Do-Hyung "Stellar" Lee. Oct. 30: Announced signing of tank Gyeong-Mu "Lycan" Jo and support Jae-Yoon "Aid" Go. Nov. 27: Announced signing of support Joo-Seong "Roky" Park and DPS Joon-Seong "Asher" Choi . Dec. 1: Announced signing of tanks Hyeon-Woo "Jjanu" Choi and Sang-Beom "Bumper" Park; supports Ju-Seok "Twilight" Lee, Seong-Jun "Slime" Kim, and Jung-Geun "Rapel" Kim; and DPS Hyo-Jong "Haksal" Kim, Chung-Hee "Stitch" Lee, Dong-Eun "Hooreg" Lee, and Min-Soo "Seominsoo" Seo. Sept. 11: Announced arrival of Hyeong-Seok "WizardHyeong" Kim as head coach and signing of main tank Jun-Hwa "Janus" Song. Sept. 20: Announced arrival of Kyoung-Ei Molly "AVALLA" Kim as assistant coach and Mikael "mkL" Skjønhaug as analyst. Dec. 4: Announced signing of DPS Ethan "Stratus" Yankel and Corey "Corey" Nigra, and flex tank Hyang-Ki "Sansam" Kim. Dec. 5: Announced signing of supports Hyeon-Woo "Hyeonu" Cho and Riley "Fahzix" Taylor, and DPS Gi-Hyeon "Ado" Chon.